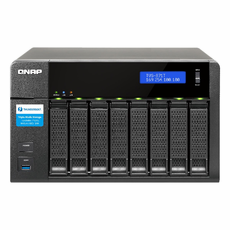 The QNAP TVS-871T is the world�s first Thunderbolt DAS/NAS/iSCSI SAN triple solution. With the incredible power of Thunderbolt 2 to double the speed potential to 20 Gbps, simultaneous 4K video transfer and display is enabled with considerable cost effectiveness. It�s also a perfect match for Thunderbolt-equipped Mac users for 4K workflows, file storage and high-speed sharing. 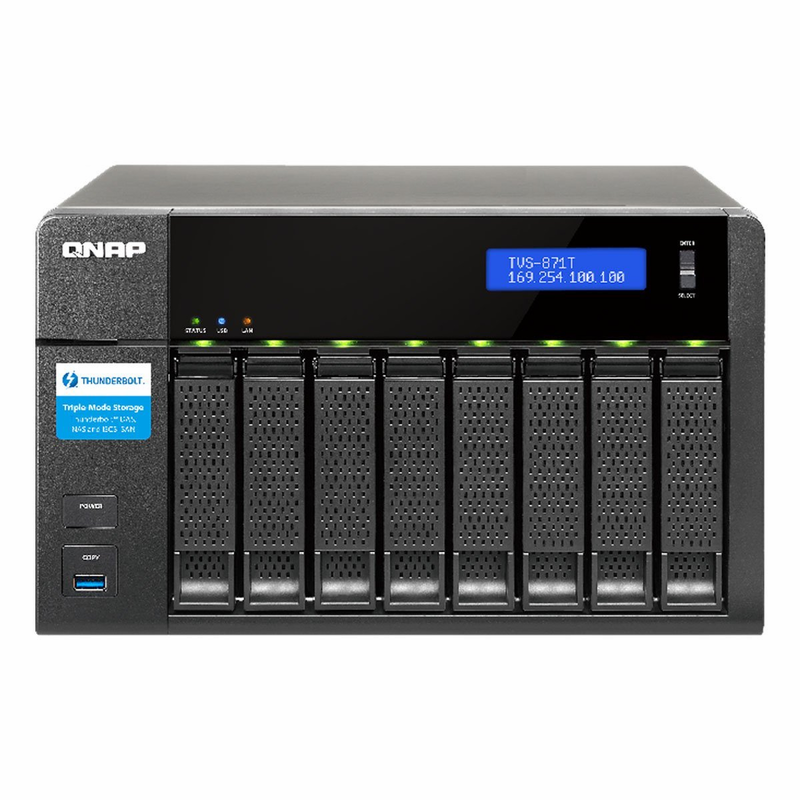 Incorporating reliability and security, the TVS-871T delivers the highest transfer rates ever as storage with persistent throughput, and provides a complete business-ready storage solution to build a reliable private cloud.